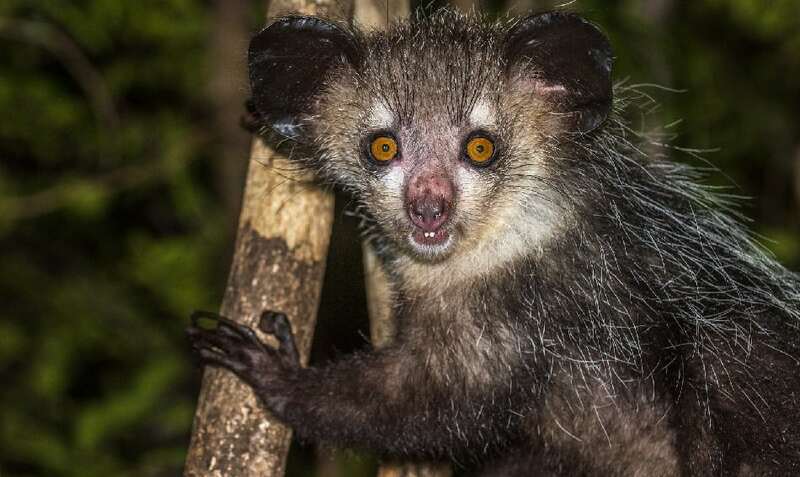 The Aye-Aye lives on the east coast of Madagascar. It is the world’s largest nocturnal primate and typically grows to about three feet long with a tail as long as its body. It is similar to a woodpecker in that it is capable of penetrating the wood on trees to take out the animals inside.